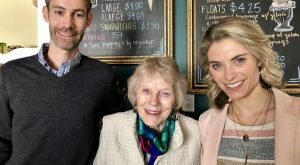 For its first foray into the Richmond market, an out-of-town development firm has snagged a site between the Museum District and Scott’s Addition. Charlottesville-based Stony Point Design/Build earlier this month purchased 3013 Cutshaw Ave. for $1.9 million. The 10,000-square-foot building, which houses Movement Church, most recently was assessed for $790,000. The buyer has a track record of mixed-use developments, with several projects underway across Charlottesville and in Harwich Port, Massachusetts. The company is still mulling plans for the site. Henry said it may raze the building to make way for a new multi-level structure with commercial and residential space. 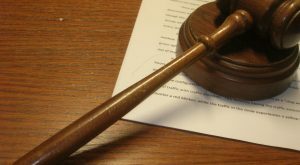 He said if the building cannot be razed, the firm would preserve elements of it to incorporate into new construction, still with a goal of adding density to the neighborhood. 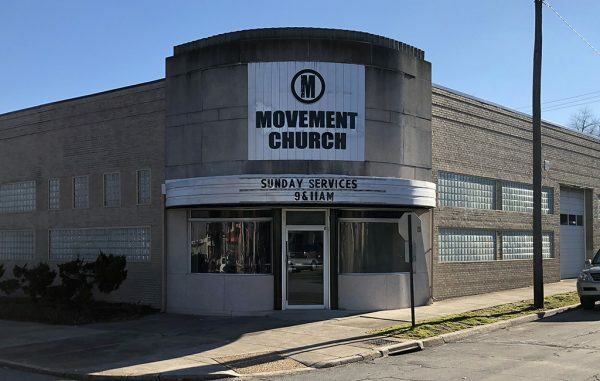 “We’re still looking at the best solution for the site,” Henry said, adding that Movement Church’s lease is up in April. The firm is working with Timmons Group and Richmond-based Glavé & Holmes Architecture on the future development of the site, which Henry said could begin in 2019. One South Commercial brokers Tom Rosman and Lory Markham represented the seller in the deal, Marquee LLC. Stony Point is juggling several projects outside of Richmond, including Dairy Central – an $80 million mixed-use redevelopment of the Monticello Dairy complex in Charlottesville, where the first phase is set to include 50,000 square feet of new office space, a food hall and a craft brewery. 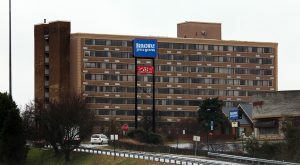 Its new Richmond property is in an area that was recently rezoned to entice transit-oriented, mixed-use development coinciding with the forthcoming bus rapid transit system – allowing for up to 10-story buildings along the West Broad Street corridor bounded by the Boulevard to the east and Interstate 195 to the west. It’s also near the future Whole Foods-anchored Sauers Center development. 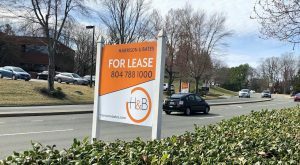 With its first Richmond location locked down, Henry said, the firm is scouting the metro area for similar deals. 7 Comments on "C-ville developer plans to go vertical near Scott’s Addition"
This is just another of many new developments that will result from the new progressive zoning change and the long delayed opening of The Pulse. More one story structures will be replaced along Broad once the rapid bus system actually opens. Replaced with UGLY, bland, forgettable multi-story crap. This section of Broad has many cool deco facades like this and to see it replaced with the bland stuff of Short Pump that is disgusting. I hope they can incorporate the old building into the new one at least. Tear down the building and put something modern in there. It’s ugly and has no historical value. That’s the same mindset the led to the demolition of NYC’s long lost Pennsylvania Station in the 1960s. Broad Street Station came very close to suffering the same fate in the early 1970s. This mindless brick wall isn’t Penn Station. It’s a eyesore that needs to go. Michael is right – this stretch has a lot of wonderful Art Deco buildings that tell the story of the coming of age of the car culture and suburbanization’s push westward from downtown. To travel through time, head west and watch the architecture change. Preserve these structures as a group to tell that story and keep Richmond interesting and beautiful. There’s a lot of support in RVA for higher density and taller buildings along Broad, but respect past and future generations by incorporating historic facades. This building is a art deco gem…I remember when it was an event site….so stylish….I hope the developer with embrace its beauty and use it to keep this stylish lady a great park of Richmond history…..